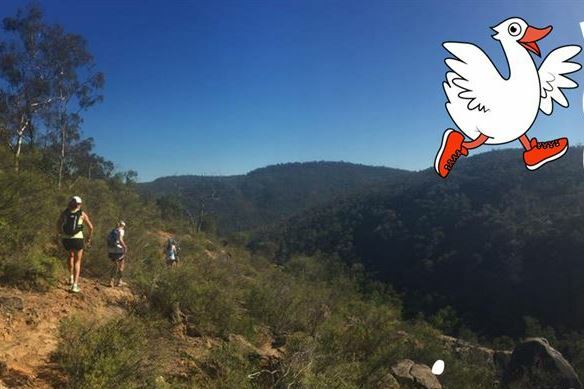 The Wild Goose Chase Running Festival is Australia’s newest Multi-Day event on the running calendar. The festival has blossomed into an outstanding selection of trail races from 5k for the kids up to 177k for the Multi-day events with plenty of elevation for each course, in a quintessential Australian bush setting with the courses designed to encourage and test all levels of ability. Being the final race each year of Ultra Series WA each season, we have designed the longer variations of the course to take yourselves to the next year of endurance and perseverance. Centred around the bush setting of the Wild Goose Village amongst the Kangaroos, Kookaburras and Emus (and drop bears), the trails take you through the stunning Avon Valley National Park through the winding hills, gorges and valleys. Our flagship race, the Wild Goose 100 Ultra (106klm) includes over 3900m of elevation, gnarly downhills, goat trails, bum slides, ruthless grinding climbs and some short sharp hills with stunning views over the Avon River. So relentless is this race, that ITRA and Ultra Trail du Mont Blanc have awarded us 5 UTMB qualifying points, 1 of only 2 races in Australasia to do so over the 100klm distance. Alternatively, you could try your hand at our 53k Ultra with just under 2000m of elevation and gaining an amazing 3 UTMB points. With 2 Multi-day events aptly named the Loose Goose (18k, 45k, 22.5k) and the Duck’s Nuts (18k, 106k, 53k), these races are designed to test your grit, determination, stamina, dedication and overall mental insanity levels. The hill climb (18k) is a good warm up for the weekend on the Friday and other distance options of 22.5k and 45k are on offer. Not to be taken lightly, each race throughout the festival is going to bite you at some stage with technical single goat track, downhill speed descents, creek running and relentless uphills, the festival will undoubtedly create many stories to tell.